NEET Resultaat 2017 – Centrale Raad van het secundair onderwijs zal NEET 2017 uitbrengen naar cbseneet.nic.in. NEET resultaat in 2017 kan worden gecontroleerd op de verklaring van CBSE. Score bepaalt de positie in de lijst zijn waarvoor wordt aangegeven door NEET 2017 Rank. MBBS en BDS toegang tot meer dan 95 000 zitplaatsen is gebaseerd op NEET resultaat. MCC zal het bestuur van NEET in 2017 houden tot 15% van alle India quota en nationale overheden voor de staat quota. Minimale afscheidingen moeten in 2017 te kwalificeren worden geregistreerd in de nationale test en de ingang (NEET UG). Zie volledige details hier van NEET 2017 resultaten inclusief datum, tijdkaart, aansluitpunt, knippen, planken. Date of declaration of NEET 2017 Result is a date between June 21, 2017 to June 26, 2017. To estimate rank, check rank predictor of NEET 2017. Bringing to you latest news and updates on the result of NEET 2017. 16:35 PM – CBSE to announce NEET Result 2017 after reviewing questions. 00:20 AM – Central Board of Secondary Education will announce NEET UG Result 2017 in some time. Students demand final date decision announcement at least from CBSE. 01:05 AM – News reports suggest that NEET Result 2017 Date could be June 19, 2017. 04:30 PM – The Supreme Court of India has ruled that deemed universities, including that for religious minorities will be included in NEET 2017 Counselling by DGHS. CBSE is responsible for conduct of National Eligibility and Entrance Test and declaring result. The board provides All India Rank to DGHS for counselling to 15% All India Quota seats and state counselling authorities. NEET Result 2017 will be published online only. It can be checked at www.cbseneet.nic.in, www.cbse.nic.in and www.cbseresults.nic.in. From last year onwards, NEET rank letter is also made available in DigiLocker. Important dates of NEET 2017 are as follows. 08 Jun 2017 was initial date of declaration of result. After exam was held on first Sunday in May, test takers discovered that question papers in regional languages differed from English/Hindi question paper (NEET 2017 was held in 10 languages). Due to this, cases were filed and court halted processes of CBSE NEET UG 2017. On June 12, 2017, Supreme Court gave go ahead to evaluation of papers and declaration of result. Honbl Court has also asked for result to be published before June 26, 2017. Last year answer key of NEET was released on August 7, and result was announced on August 17. Going by that, it is likely that NEET 2017 Result will be announced on or before June 25, 2017. How to check NEET 2017 Result? A simple process is implemented for checking result. Candidates must keep roll number and date of birth handy. Roll number must be same as displayed in admit card of NEET 2017. Steps to check result of NEET 2017 are given below. Step 1 – Click on NEET 2017 Result link given on this page (link will be available as soon as NEET Result declares). 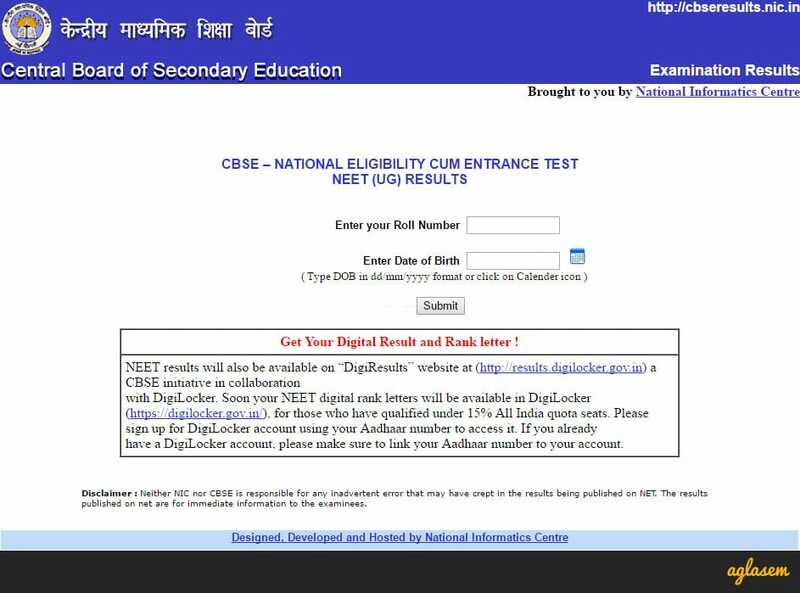 Step 2 – You will reach NEET 2017 Result login page. It will look like image shown below. Enter roll number. In second panel, select date of birth. Click submit. Step 1 – Visit official website of NEET 2017 which is cbseneet.nic.in. Here you will see link with text NEET (UG) Result. Click link. Step 2 – You are likely to be taken to cbseresults.nic.in where NEET 2017 Result will be displayed. Step 3 – Same as Step 2 in previous process. Enter roll number and date of birth and login to check result. Download score card / rank card. Keep it safely for admission counselling process. CBSE decides cut off marks for AIQ and overall. Information brochure of NEET 2017 informs about minimum qualifying marks as follows. Based on this, details of candidates who qualified NEET (which was AIPMT earlier) last year was such as given in table below. Moreover, a separate cut off is fixed for 15% AIQ. Important – Check NEET Cut Off 2017, 2016. Exam conducting body calculates marks on basis of final official answer key of NEET 2017. Marks are awarded for correct answer, and deducted for wrong answer. No marks are given or taken for unmarked questions. Marking scheme is as fixed by CBSE. A merit list is drawn on basis of marks obtained in NEET 2017. Number of candidates in merit list for 15% AIQ is equal to number of seats available. Waiting list has 4 times number of candidates. As long as marks satisfy qualifying criteria, rank is awarded. If total marks are same in NEET 2017, then higher rank is awarded for higher marks in Biology. Then higher marks in Chemistry. After that, higher rank goes for less number of attempted wrong answers. If tie persists, then higher rank is given to older in age. Once result of NEET 2017 is declared, candidates will get to know whether they have qualified or not. If marks obtained is equals or is greater than that of overall NEET Cut Off 2017, then they can participate in counselling. In addition, if rank is high enough that cut off of NEET 2017 for All India Quota is cleared, then counselling on all India level can be attended. UG Medical Counselling is undertaken by Medical Counselling Committee (MCC). Details of UG AIQ Counselling 2017 will be announced after NEET 2017 Result is announced. 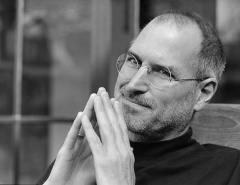 In this, following things are looked forward to happen. An expected schedule of NEET Counselling is given below. Candidates will register and submit choices. They can view indicative seat allotment, modify and lock choices. First round of seat allotment will indicate which seat is allotted (branch – MBBS/BDS, and college) on basis of NEET 2017 Rank and preference. If seat is allotted in first round then candidate can report to allotted institute and complete admission formalities. Here, willingness to participate in next round can be asserted. If seat was not allotted in first round then seat may be allotted in second round. Same process is repeated in round 2. Number of seat allotment rounds are decided by MCC.